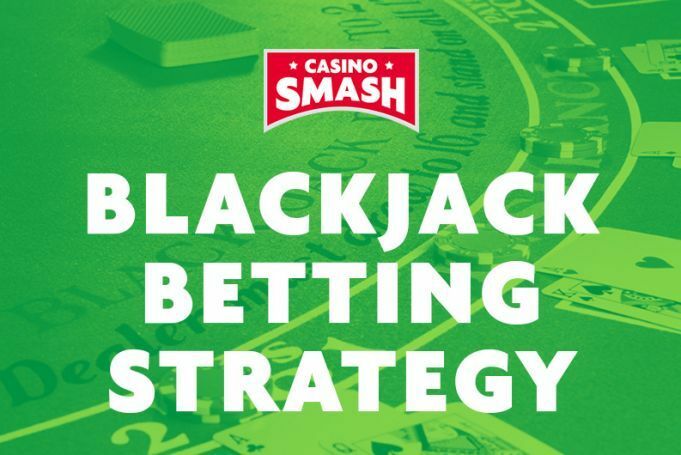 Read everything about the top blackjack betting strategies and learn how to bet in blackjack to win every time you play. Most blackjack betting strategies are progressive betting systems. Negative progression – Involves increasing the amount you bet after the loss of a bet. Aimed at recouping losses and winning small amounts of profit very often. The martingale blackjack betting system is one of the most famous, and is a perfect example of a negative progression strategy. We have a detailed analysis of the martingale system on this page. Bets are placed in line with the sequence of 1,3,2 & 6 after a winning bet. If you lose 4 bets in a row, all your bets would have been $10. Without a winning bet to trigger the sequence our bet size stays the same. If you win 4 bets in a row your bet sizes would be $10, $30, $20 & $60. The sequence is triggered by winning a bet and continues because there is no losing bet. The sequence ends after you win 4 bets in a row. If you win 5 bets in a row your 5th bet would go back down to $10. If you win the first 2 bets but lose the 3rd bet, your bet sizes are $10, $30, $20 & $10. The betting system is triggered because we have a winning bet and continues until we have a losing bet. Since the 3rd bet was lost, we drop back down to the $10 bet and start again. Mixing up your bet sizes in this way reduces the risk of blowing out, and betting everything you have on 1 hand. It provides some structure to your play so that you can enjoy the game as much as possible. The 4-step progression adds some excitement to the game where you always aim for 4 winning bets in a row, and reduces the monogamy of betting the same amount every time. You will win 4 bets in a row fairly often to the level of excitement and entertainment value you gain is frequent and significant. This blackjack betting system will not give you any edge over the house because the house edge remains the same regardless of what amount you are betting. For card counters who believe they have an advantage over the house in certain situations, they elect to bet the maximum and have no need for this type of system. Oscars Grind betting system is a progressive betting strategy that revolves around the concept of neutralising losing streaks and always winning 1 unit of profit per progression. The system was originally developed around 1965, where the aim was to manage small and consistent profits at the game of craps. The aim of Oscars betting strategy is to make 1 unit of profit for each sequence. Once you win 1 unit, then the whole progression resets and we start again. If you win the first bet, the next bet remains the same as the general aim has been achieved. If you lose your first bet, then the next bet is also 1 unit. The difference now is that you are down 1 unit and the progression system should begin so you can recoup that loss, as well as generate the 1 unit of profit. If your second bet wins, the next bet is doubled. Each successive winning hand continues to double in stakes until the aim of winning 1 unit is reached. Once that occurs the progression is reset again, and we begin from scratch. When you lose a bet, your next bet will be down to 1 unit. STOP the moment you have an overall profit of 1 unit on the sequence. The next bet will be 1 unit and you start the process again. In the example, we see that while we are losing we keep the bet at the minimum unit size, while accumulating losses. Once we win a bet the progression begins, and we embark on a mission to recoup our losses, as well as profit 1 unit. The important part to note in this example, is that on the last bet, our wager is 2 units and not 3 units. Even though we won the previous bet, we do not increase the bet size to an additional unit. This is because our aim is to profit exactly 1 unit. At this stage of the sequence, we are losing 1 unit, therefore a bet size of 2 units will result in 1 unit of profit. This example shows what can happen when you hit a hot streak. As long as there are no recorded losses in the sequence, you can continue to add a unit to your bet size as you keep winning. The idea is to ride the wave until it stops, giving yourself maximum opportunity to capitalise on a good run, while locking in some of your profits along the way. 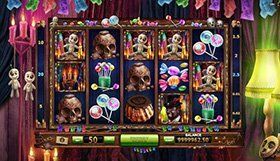 This blackjack betting system requires a lot of patience as it is difficult to accumulate significant wins in this way. 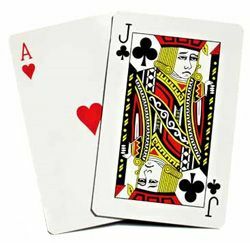 Most players have problems with this, making the strategy difficult to implement at blackjack, where the action can sometimes be slow at full tables. The system was designed to maximise profits when a good run of hands presents itself. 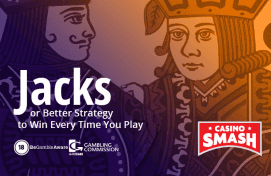 Stringing together 6 or 7 straight winning hands at the blackjack table will result in a significant win. This characteristic has made this betting system popular with some players who count the cards. When they see that they have a significant advantage in certain situations, betting higher has a positive expected value. Discover the Planet of the Apes Slots at Unibet Casino!